You can also make your once-in-a-lifetime PolarLife experience yourself for a time that suits you best. There are instructions below how to make your bespoke PolarLife Holiday. PolarLife offers natural outdoor experiences, taking into consideration the various preferences guest may have. 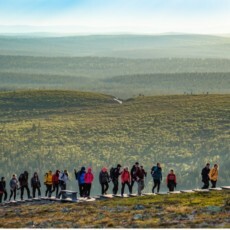 You can choose from a variety of trips and programmes to make up your bespoke trip to Lapland, with your preference for how much local culture, wellbeing services and wilderness activities you desire. Trips are always excellently guided and truly safe. Nature cares for its visitors – the sound of silence and purity of the air help you to relax. Programmed, natural wellbeing services provided by professionals are also available. Services such as these include nature yoga, smoke sauna experiences, and spas. 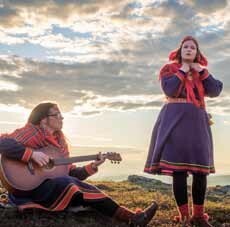 In addition to gold panning history, there are many genuine lifestyles and tales related to forestry and reindeer husbandry, fascinating tourist resorts enlivened by the indigenous culture of the Sámi. You now have the opportunity to become involved in these colourful local cultures that cherish nature values, receiving genuine experiences on our guided programmes and visits. Sámi Museum and Nature Centre Siida is a memorable place to visit and reindeer farms provide once-in-a-lifetime experiences. 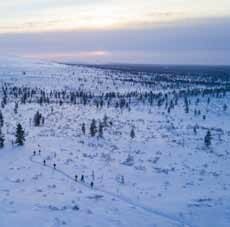 The Inari – Saariselkä travel area one of the most renowned nature travel destinations in Finland. Inari is a genuine Lappish village on the shores of the great Lake Inarijärvi and Saariselkä lies at the gateway to one of Finland’s largest national parks, the Urho Kekkonen National Park. The region also has the Lemmenjoki National Park, with its distinctive gold panning history and livelihood. The PolarLife Outdoor Summer Tour includes guided activities, accommodation in double rooms, half board (breakfast, dinner, packed lunch), in addition to the necessary transfers at the destination.